Senator Tom Harkin (D-Iowa) has proposed the “Strengthen Social Security Act” which would strengthen the retirement security system by increasing the cap on Social Security taxes so the wealthiest Americans pay their fair share into a system that works for everyone. The bill is seen as a common-sense alternative to cuts proposed by conservative members of Congress. Mainers also presented the Senator’s staff with a stool to symbolize the “legs” of retirement security – the public systems like Social Security and Medicare, as well as employer-based pension plans and private savings – to serve as a reminder that all three legs are instrumental in a strong retirement security system. In Maine, the state with the oldest population in the nation, almost a quarter of the population receives benefits from Social Security, benefits that account for 7.6% of the state’s total personal income. The program also has a sizable impact on keeping Maine seniors out of poverty. From 2009-2011 it was estimated that almost 40% of Mainers over 65 were kept out of poverty because of Social Security. Congressional Republicans have attempted to pass various forms of cuts to Social Security, including a plan to tie benefits to a chained Consumer Price Index (CPI), reducing critical benefits for millions of retirees. More recently Representative Paul Ryan (R-Wisconsin) has included a fast-tracking process in his latest budget proposal that would allow Congress to expedite cuts to Social Security and Medicare, potentially further eroding a vital system for millions of Americans. “For 78 years, even as our nation endured wars, political turmoil and economic crises, Social Security has never missed a payment; it’s paid every dollar on time and in full,” added Ward. 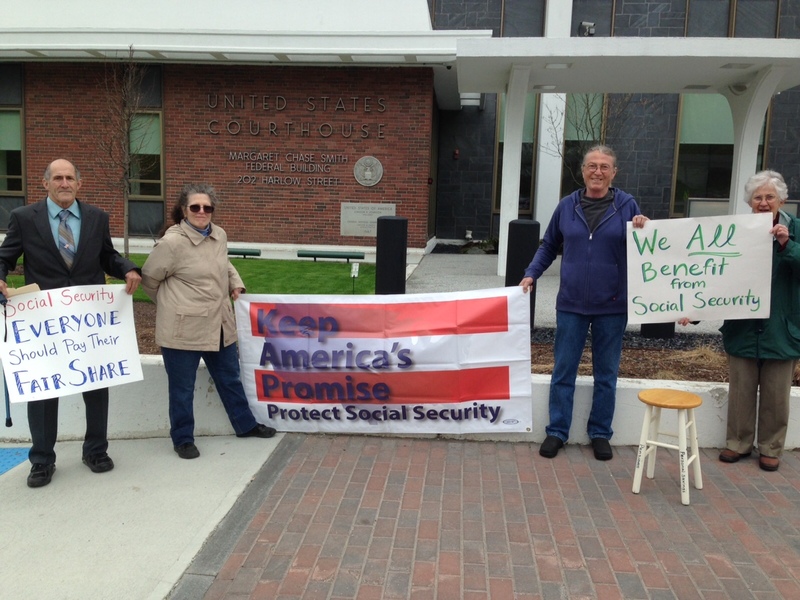 "Maine's elected officials in Washington must reject any attempts to cut benefits and instead make sure that the Social Security system I've paid into my entire working life is protected and strengthened for my generation, and for generations to come."